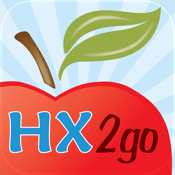 hx2go™ is a mobile app that works with Minute Menu HX™ software. hx2go enables Sponsors using Minute Menu HX to allow Monitors to perform in-home visits with Family Day Care Home providers and collect their review findings. hx2go offers Sponsors unprecedented flexibility and convenience in conducting their home reviews. * Upload the review data directly into Minute Menu HX for validation by the Sponsor. hx2go permits your Monitors to perform reviews without internet connectivity. However, internet connectivity is required to download provider data before performing reviews, and to upload reviews after they are complete.